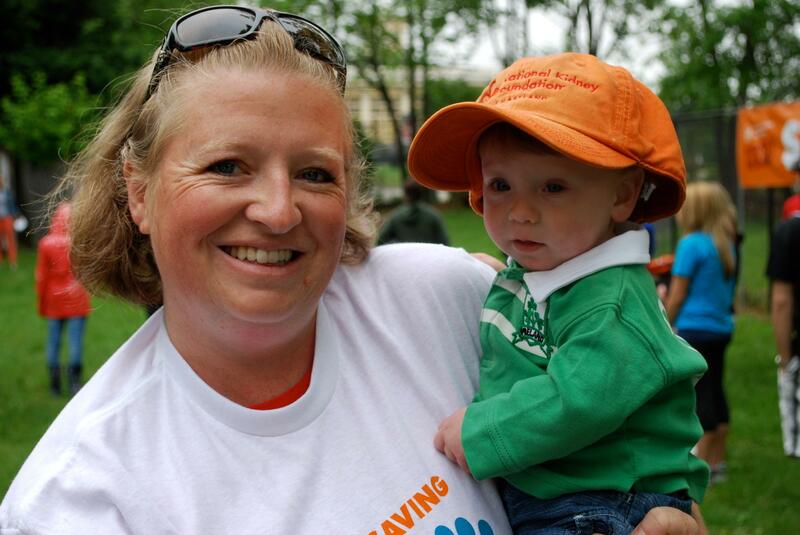 Meet the Paglio Family…a 2013 National Kidney Walk Ambassador! James is one of roughly 750,000 people in Maryland who suffer from some form of kidney disease. We knew during my pregnancy that something was wrong with his bladder and kidneys because there was very little amniotic fluid and the ultrasounds showed abnormalities. When he was born, he was already experiencing kidney failure. We thought we were emotionally prepared for his birth and the potential complications, after all, he’s our 6th child and babies were not new to us. We were thrilled when he was born. It was Father’s Day and he was the perfect gift. He looked absolutely healthy. Everyone, all the doctors, breathed a sigh of relief. We thought we were in the clear. Just to be safe, the pediatric urologist performed a series of tests to track his urological flow, so to speak. We were devastated with the results. James was diagnosed with severe bilateral renal dysplasia accompanied by hydronephrosis caused by grade 5 vesicoureteral reflux. It’s quite a mouthful, but basically it means that his kidneys are underdeveloped and abnormally developed because of high levels of urine that backed up into his kidneys. This all started at a critical developmental point in utero and the damage it caused meant that his kidneys would never function at a level necessary to support his body. With that diagnosis, James went from being a beautiful healthy baby getting ready to go home, to a beautiful, but critically ill, baby with teams of doctors working to ensure he survived. There were neonatologists, urologists, geneticists, and there were doctors we had never before heard of — nephrologists. Even though we knew before James was born that there were going to be complications, we really had no frame of reference for the extent of those complications. We have no history of kidney disease in our families. We have no history of diabetes in our families. We had five wonderful, healthy children before James; and James just does not fit in with our standard image of someone at risk for kidney disease. And yet, there he was, in the NICU attached to wires and tubes getting venous blood draws every 6 hours to check for renal function. The nephrologists started telling us things about James’ future. They used words like, feeding tube, dialysis, and transplant. We were so afraid for our son. Like any emotionally shattered and frightened mom, I went home and started researching kidney disease on the internet. I found that it was incredibly difficult to find information about kidney disease from the pediatric standpoint. I was thirsty for information, and almost every book or article I could find, looked at the disease from an adult perspective and failed to take into consideration the unique challenges facing pediatric patients. Then I came across the National Kidney Foundation’s website. There I found the information I needed. The research and knowledge was compiled and laid out in a way that I could understand. I used that information to explain James’ health and prognosis to our families and friends. More importantly, I used that information to advocate for my son and work with his doctors. I learned as much as I could about his disease, as fast as I could, so that any decisions we made about his care, would come from understanding instead of fear. James had his first surgery at a week old and was stable enough to come home at less than a month old. When he first came home, we still had to take him to the doctor for blood pressure checks, weight checks, and lab draws about every other day. As he’s gotten bigger, we’ve been able to taper off to every 2-3 weeks with a goal of going a month between checks. James takes eight medications three times daily in addition to weekly injections to help what little kidney function he has and deal with his secondary diagnoses of hyperparathyroidism, hyperkalemia, and severe anemia. He is basically 100% fed through a tube and receives therapy to help him learn to talk and eat. This is his normal. He takes his meds like a champ and never ever cries when getting his blood drawn. James is nearly two and has lived his whole life with kidney disease. This time has been such a blessing. We look at James as he defies the odds and we feel lucky. With every milestone he meets, every ounce of weight he gains or every inch he grows and with every good lab draw we are thankful. But we know it won’t last. He will outgrow his kidney function and his health will deteriorate. We know this and we dread it. It’s a very lonely feeling when you have a chronically ill child. But we have found kindness and support from our friends and military family. We have found understanding and a sense of community with NKF of Maryland. We walked with family and friends in the NKF Kidney Walk and raised almost $1,700. I’m proud of that, but this next year I want to do so much more. Research funded by organizations like the NKF has led to wonderful advances in care. Not long ago CKD (Chronic Kidney Disease) and ESRD (End-Stage Renal Disease) were death sentences. But thanks to the NKF, there is the possibility of lives lived well. Instead of mourning his loss, we get to enjoy James’ life. However, we still need a cure. James is stable right now with the help of a lot of medication. When he weighs enough, he will get his first transplant. But that transplant is a treatment, not a cure. 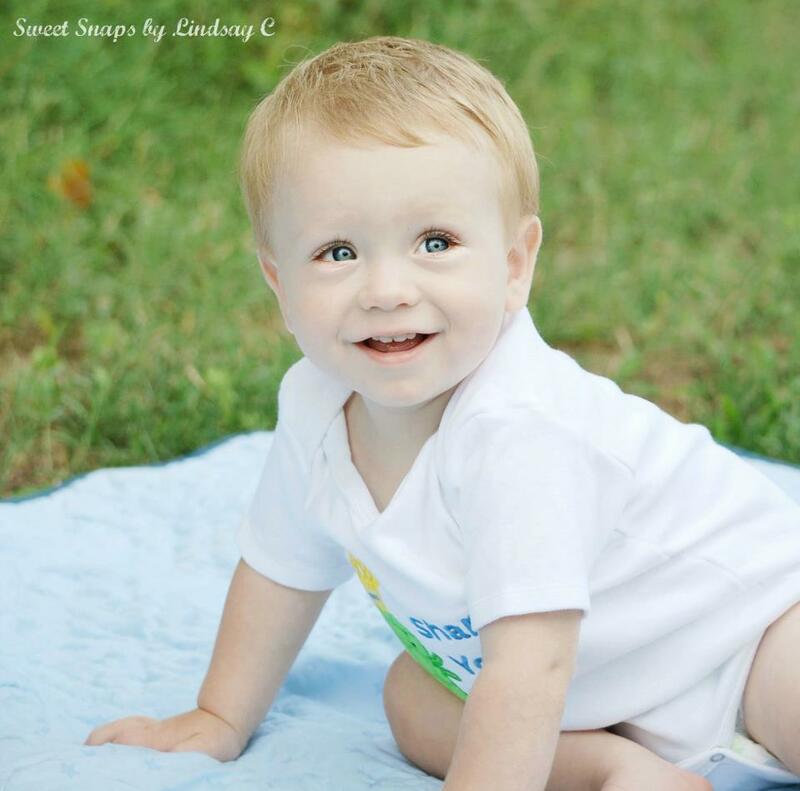 James will likely need two or three transplants throughout his life. Each of those transplants will mean that James’ health has declined. Each of those transplants will carry the burden of immunosuppression and increased chances of cancer and other diseases. Each of the transplants will mean time spent away from family, time in the hospital and time spent every day taking just the right balance of medication to keep that kidney from rejection. Each of those transplants is borrowed time. And every one of those transplants will mean finding a selfless living donor, or relying on the heart wrenching gift of a deceased organ donor. There have been tremendous advances in medicine over the past few years that have allowed our son to live and thrive. With the continued efforts of the NKF, I hope that my son will live to see, not just a treatment for his disease, but a cure. Thank you so much for all your efforts to make that cure his reality.